Community is so unbelievably important to achieving health and success with your kiddos on this journey. Even if the journey is easier for some and harder for others. We’re all in this together and we need one another. Have you ever met an adoptive family that seems to have it easy? Like not only was their process smooth, but their kid just hasn’t seemed to skip a beat. No health issues. No physical issues. No mental health issues. No IEPs. No developmental delays. No sibling rivalry issues. No letters for a diagnosis the majority of the world doesn’t understand issues. No phone calls from school issues. No law enforcement issues. And no holes-in-your-walls issues. And this may not even be a child adopted from birth. They adopted a child that came home from a far away country, speaking zero English and are already in the third grade. AND that kid was placed smack dab between two biological kids. And everyone gets along just peachy king. That kind of not skipping a beat. What I’ve seen happen is that we often walk away from one another. The adoptive family that seems to have it easy walks away from the adoptive community thinking they must not need it, and the adoptive community that has it much harder isolates the adoptive family that seems to have it so easy. It’s as if we don’t want each other in our circle. Speaking as one who has had it a bit harder and seeing those that don’t, sometimes I feel like it must be all my fault the way my kids are. Have you heard about our brand new 4-part Video Series entitled ‘How To Move From Surviving To Thriving On The Foster & Adoptive Journey? It’s available now for FREE. Click here to gain access! We need the easy adoptive families in our community to remind us why we did this hard thing in the first place. There is hope and there is good that does happen in adoption. We need the have it easy adoptive family in our community because although there are aspects they don’t get about our journey, there are ones they do. Like the process. The wait. The travel. The joy. The love we have for our kids. We need the easy adoptive family in our community so that we can continue championing adoption. Many of us just can’t muster up the courage to tell someone at this point in our journey that it is a good idea. Because from our current view, it wasn’t. So we need someone else’s view. We need the easy adoptive family in our community to get us through the pain. If families are healthy, they need to be helping those that aren’t. The family that seems to have it easy needs those that don’t because they might just be missing a piece to the puzzle even if they don’t see it. It’s hard to see a need if you are not aware of all the cause and effects that happen in development. And the easy adoptive family needs those who have had it much harder because life is constantly changing. It may be easy at a certain stage in life. But children grow and mature and have new experiences and those experiences will always be filtered through their lens that they were adopted. They may suddenly be triggered about the life they left behind. It could be processed in a healthy way, but it also could not. If things suddenly get hard for someone who has had it seemingly easy, they need those who have already walked through hard to get them through it. We need each other. We must not walk away from each other thinking we can’t relate. We need to be reminded that we started out on the same path and for the same reasons. And that was so that a child could have a family. And we did it. Both kinds of families braved the new waters of adoption and brought a child home that we love and would go to the ends of the earth for. That unites us. 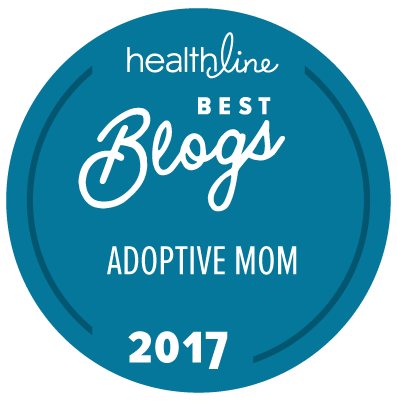 Let’s continue championing adoption together. Question: Have you found community on this journey? How has this helped you? Share with us in the comment section below. You can leave a comment by clicking here.